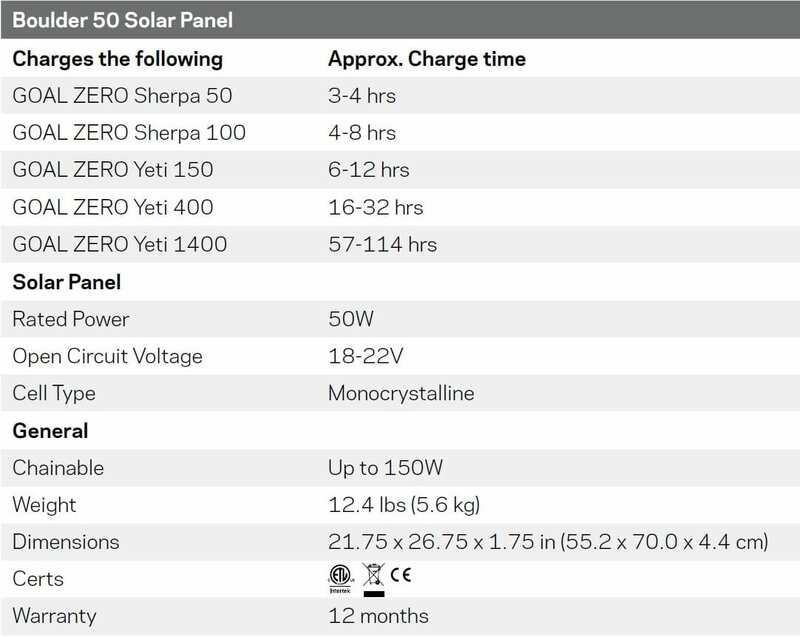 Use a Boulder 50 Solar Panel with any of our Yeti generators to ensure you have power when you need it most. 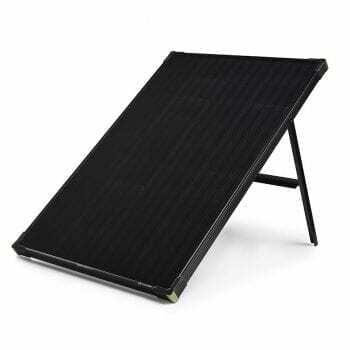 The solar panel captures electricity directly from the sun to be stored in your solar generators or power packs. The Boulder 50 delivers up to 50 watts of power, depending on the angle of the panel and cloud coverage. 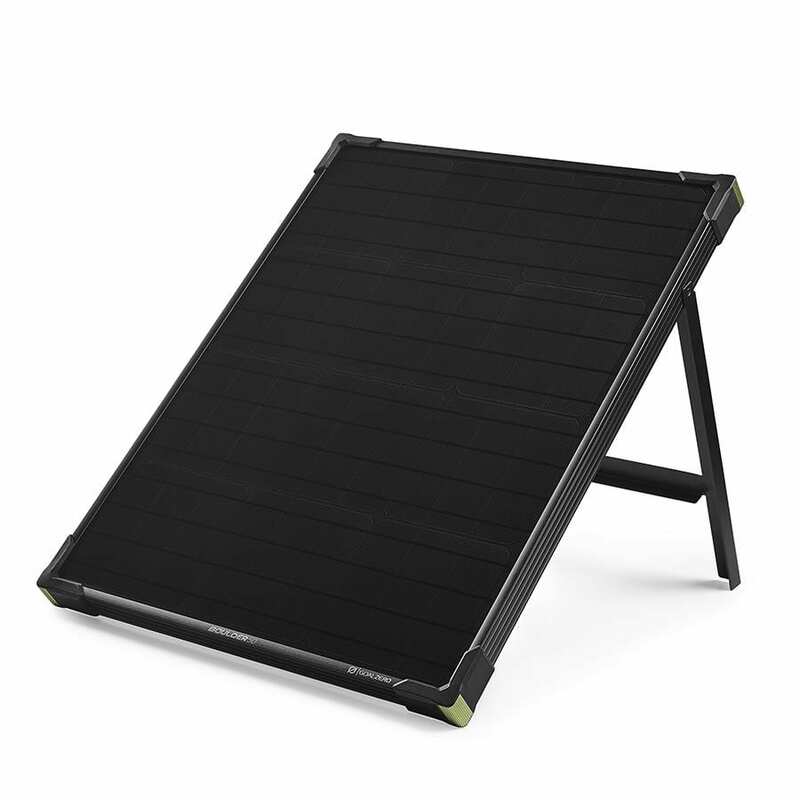 The Boulder 50 Solar Panel does not work indoors. Is the Boulder 50 waterproof? Yes. 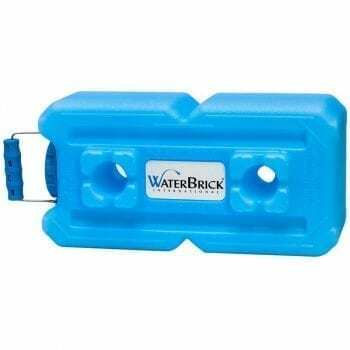 The Boulder 50 is waterproof and rugged terrain resistant. Just remember that the devices you are powering might not be as durable. Can the Boulder 50 be chained? Will the Boulder 50 break? Not easily. It was made to last, but try to avoid heavy impact that can weaken the frame and cause the glass to crack.